After a long period of speculation, the fate of one of Bournemouth’s most popular seaside arcades appears to have been decided. Happyland Amusements will be making way for something, but no-one seems to know what just yet. The owners of Bournemouth’s beachside Happyland Amusements have launched a market-testing exercise to seek out potential interest in redeveloping the site. Bournemouth Borough Council, which has a 999-year lease on the building that houses Happyland, and the Gervis Meyrick Estate, which owns the freehold, are hoping to find developers who would “enhance” the property. Under initial concept plans drawn up as a guide for what they believe would work well at the location, this would see the arcade closed down and replaced with a 50-bedroom hotel/spa. Councillor Pat Oakley, cabinet member for tourism, leisure and the arts, said: “The council wants to deliver a high-quality development creating a vibrant world class year round destination point for Bournemouth and its seafront, offering a selection of tourism and leisure facilities for both visitors and residents alike. “As part of this initial market testing exercise we want to understand the potential interest in Happyland as a development opportunity. A signal that the owners are seeking interest from bidders around the world, they have employed global real estate agent Savills to market the site. It is seeking initial expressions of interest by mid-July,ahead of a formal tender process that is scheduled to begin in the autumn. 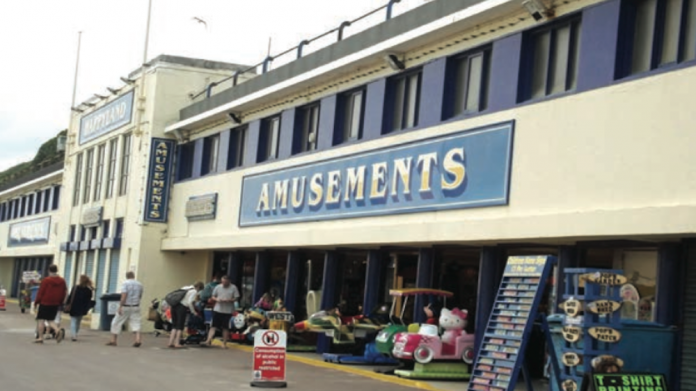 The news follows years of speculation over Happyland’s future, with the site falling within Bournemouth Borough Council’s seafront strategy to regenerate the resort’s chines, central beach, coastal activity parks and nature parks. In January last year, council leader John Beesley described the building as “underutilised” and revealed it was being analysed for its “viable redevelopment potential”. At the Bournemouth Development Plans Conference in April this year, Bill Cotton, council executive director of economy and environment, said it was looking to market Happylands for redevelopment as a hotel. The waters were muddied a month later when Councillor Philip Broad- head, cabinet member for economic growth, explained that the council would not be investing in the site itself. It now seems more likely that Happyland’s days of bringing amusement to Bournemouth’s beachgoers may soon be over. When, how or what else still needs to be determined.